Landscapes that are efficiently watered and planted with vegetation adapted to the local climate, especially those that need no supplemental watering after establishment, can result in significant reductions in outdoor water use compared to traditional irrigation of grass and other high water use plants. In addition, climate adapted plants can withstand periods of drought and require less maintenance. Outdoor irrigation can represent 30 to 60% of the total household water demand and can mean expensive water bills, particularly in the summer months. 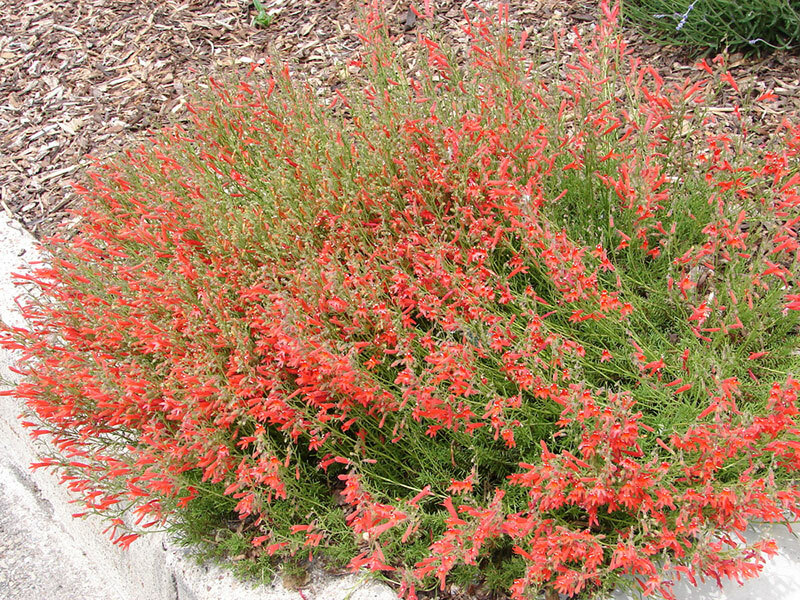 Pineleaf penstemon, an attractive native wildflower used in xeriscape landscaping. In the case of new development, water efficient landscaping and irrigation requirements along streets and in common areas are typically included in Landscaping and Screening Codes & Standards. Communities may also have water conservation codes that include water efficient landscape requirements for residential homes and commercial buildings. Some, including Sierra Vista, prohibit turf in the front yards of new residential homes. Planning and Design – the design considers how the landscape will be used and groups plants by their water requirements. Appropriate Turf Areas – locate grass where it will be used, like a play area. Keep grass away from sidewalks, walls, and fences for easier maintenance and avoid planting in areas that can’t be watered efficiently. Efficient Irrigation – use low volume drip systems, water plants according to their needs, and change the irrigation schedule frequently with seasonal weather changes. Low Water Use Plants – use drought adapted, low water use, and native plants. Soil Improvements – use organic matter when planting to help absorb and hold water and provide nutrients to plants. Surface Mulches – use mulches to cover and cool the soil, decrease evaporation, reduce weed growth, and slow erosion. Appropriate Maintenance – Xeriscape requires less maintenance but needs weeding and pruning and regular irrigation system maintenance and seasonal adjustment. Xeriscape landscaping can reduce outdoor water consumption through use of native plants, resulting in much lower water consumption for landscaping. Ideally, codes should include a recommended low water use plant list that is reviewed periodically and that indicates the watering needs of the plants. In Arizona’s active management areas (AMAs) approved plant lists are adopted by the Arizona Department of Water Resources and applied to state regulated landscapes, such as public rights-of-way, parks, schools, and common areas. Communities in AMAs can use these plant lists in their landscape ordinances. Communities outside the AMAs, including the Town of Clarkdale (ordinance 270) have also adopted landscape ordinances with a list of recommended and prohibited plants. Payson Arizona requires retail plant nurseries to provide customers with town-provided, low water use, landscape literature and water efficient irrigation guidelines, and has prepared a Native and Low Water Use Plant List for that purpose. 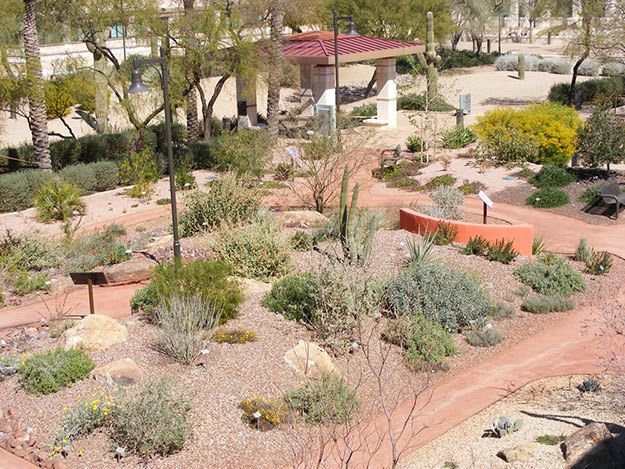 A number of communities in Arizona and the West offer rebates for turf removal, irrigation system improvement, and conversion of high water use landscaping to Xeriscape. One of the most well-known turf removal rebate programs is Las Vegas’ “Cash for Grass,” which has saved billions of gallons of water. These programs can be relatively expensive for a community so requiring water efficient landscaping at the time of development is the most cost effective option. Rio Vista is a rapidly growing community of about 8,500 residents located southwest of Sacramento. Its climate consists of warm summers and 17 inches of annual rainfall. The City’s Water Conservation and Landscape Ordinance recognizes water as a limited and precious resource, and identifies the Xeriscape principles as the primary means of achieving water conservation. The landscape ordinance applies to all new projects, including commercial, institutional, mixed-use development, common areas, and developer-installed landscaping of new multi-family developments, as well as developer-installed front yards of single family and planned unit developments. It also applies to replacement landscaping, including for single-family residences that were previously subject to the requirement, to ensure that high water use landscapes are not installed later. In addition, there are no exemptions for properties with an on-site well. Site development plans must limit grass areas, reestablish native plant communities, retain storm water, and incorporate locally appropriate plants. Limits on turf areas are an important component – landscaped areas that were customarily designed as lawns are now required to be preserved as native plant communities and only drought-tolerant turf varieties are allowed. Irrigation systems must have rainfall sensing devices, and areas with different water needs are required to be separately circuited. Automated irrigation systems must have an irrigation controller that is scheduled to respond to seasonal changes and is also adjusted to account for the different water needs of newly installed plants vs. the established landscape, which uses less water. The ordinance also prohibits spray irrigation during daylight hours to reduce evaporation losses. Separate landscape water meters are required for new commercial development and for common areas of new residential condominium and planned unit developments to allow for monitoring of outdoor water use efficiency. The Cottonwood Landscaping Requirements include a section on Landscape Water Conservation and a Plant List. The City of Flagstaff Landscaping Standards includes standards on sustainable landscaping, xeriscape, and the use of reclaimed water and stormwater runoff. The City of Tucson has Xeriscape Landscaping and Screening Regulations, which can be found here. The Southern Nevada Water Authority Water Smart Landscapes Rebate can be viewed here.